New Year’s Eve is right around the corner, yeah you read that right. I honestly feel like this year flew by and I haven’t decided if that is good or bad. Of course with this lovely night approaching comes the never-ending search for the perfect outfit. I personally don’t spend too much time looking for the right outfit, and you can never go wrong with a little black dress. 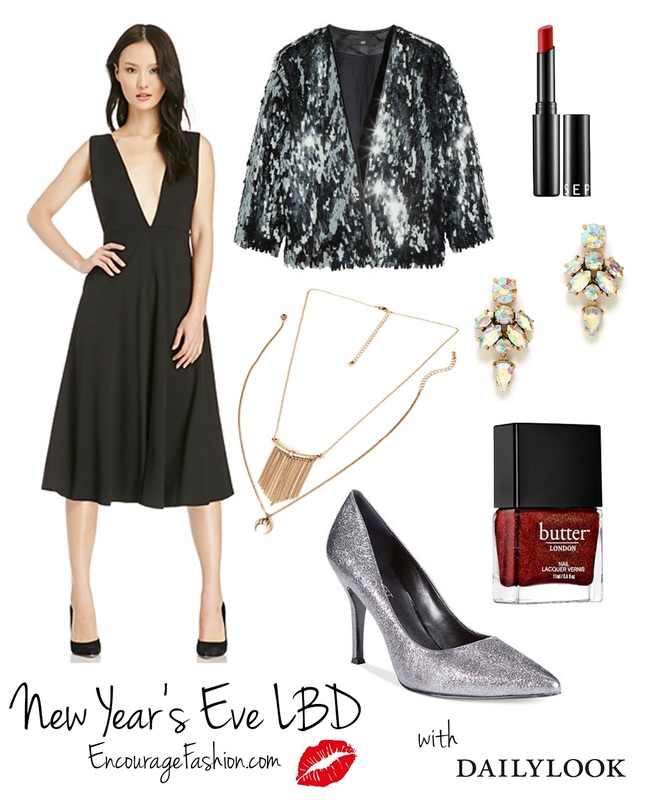 I was asked by a lovely lady over at DailyLook to put together my go-to look for NYE featuring a LBD from their vast collection. They really have a dress for everyone! I’ve been drawn to midi dresses and skirts recently so of course that was the dress I chose. I always want something that is versatile so when I shop for important occasions I always get something I can possibly wear again. Add a little sparkle and a red lip and nail and you are good to go! Did I mention I’m dying over this jacket, my next purchase. Also! Don’t forget to enter my giveaway, it ends Friday!